Jazz is the ideal model of genetic evolution. New individuals express similar traits to their ancestors. Why shouldn’t they? After all they are born of the same species, same DNA, same gene pool, but when the traits are blended within every new generation, something truly unique is expressed. There are similarities, likenesses in expression, a familiarity in the voice, a feature that is reminiscent of the previous generation and upon further investigation, it is only the slightest resemblance. Yet, the individual stands there, part of a family, a descendant, an individual of the family, recognizable as one yet standing alone. Danny Green is proof that the laws of genetics are at work in jazz—the previous generations expressing themselves in the younger, newer generations. Green’s debut release With You in Mind demonstrates the expression of the vast gene pool that is jazz. Born of the union of classical music evolved into classical jazz with Brazilian jazz influences, Green’s work is the promise of a new and bright future for jazz. My conversations with Danny touched on the elements of those influences, those biological events that expressed themselves in the compositions that fill out this, his first work With You In Mind. Dedicated to his new fiancée, the love of his life, it is only fitting that the love of his life be the recipient of the gift that is the love of his life. It was not always that way, but it has been for a quite a while. Since that time he heard that first swing groove, that big band energy that caught him up in the thing that is jazz. JAZZREVIEW: What was it that caught your attention, what attracted you to jazz? JAZZREVIEW: Was there any individual that you credit with having an influence on you…a teacher or contemporary player the turned you on to the music that you were becoming interested in? Danny had been the beneficiary of that all important element of evolution, the extensive gene pool. It is among this fertile source of influences that Danny learned a new language to express himself, the language of the elders. One place where he had expanded his own language was while among the ranks of the students at the California Brazil Camps. These annual events featured the best of Latin jazz and provided Green a chance to explore the genre with the best of guides. 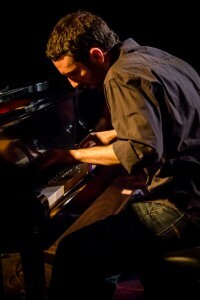 JAZZREVIEW: With these influences, you were pretty much headed in a direction, playing keyboards and doing jazz. Did you then pursue study on your own? JAZZREVIEW: Beside the ensemble playing, what other kind of performance experiences were you able to get? DANNY GREEN: “The first group that I regularly played with was called Cal- Son, which was led by percussionist/vocalist Alex Galucho. We played mostly Afro-Cuban music every Friday for about two or three years at a restaurant called the Calypso Café, and at some pretty wild parties. We had some great times. My first attempts at arranging music were with this group, and it was a great platform for me to try out all kinds of ideas. JAZZREVIEW: I hear the Chucho Valdez influences, I am a big Chucho fan, but who are some of your other influences? JAZZREVIEW: With the formal studies in place, the one on one influences and the exposure to ensemble playing, composing and arranging Green had developed the traits of a jazzman. What was to happen next was unavoidable. The music needed an outlet…a medium to express itself. A lifetime of absorbing was now to become a lifetime of expression, and the first experience would be a strong one. JAZZREVIEW: So how long did it take you to compose these tunes? 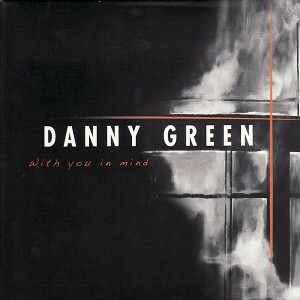 DANNY GREEN: “The compositions on With You In Mind span from November 2005 with “Off the Streets,” to March 2008 when I wrote “Para Chano.” I wasn’t necessarily composing them with the idea to putting them on an album, but when it came time to recording, I decided to do mostly originals so these pieces all ended up on the album. JAZZREVIEW: Did you produce the album? JAZZREVIEW: When did you form the trio you are with now? JAZZREVIEW: With respect to Dylan and Justin, while working on the CD, was it a collaborative effort to polish the music of your compositions or was it something where you had the vision for the output pretty clear in your mind and it was a matter of getting alignment from the players? JAZZREVIEW: So there was happy collaboration going on? JAZZREVIEW: On the subject of different textures, I noticed your music changes moods, staying inside the theme, but changing moods within the context of the composition. You were pretty consistent in the use of that structure. Is that something that you like to do, to give it almost a broader palette of what you are expressing? Each song had phases of it where you explored what I called the dark corners of the music….you went into each area and explored the moods. Is that something you do consciously or something that just comes across in the final piece? JAZZREVIEW: You’re using a broad palette of your influences to create those moods…it’s Latin with a complexity that goes beyond Latin and it’s classical jazz with a dimension that gets it outside of classical. With those diverse influences, how do you define yourself as an artist? JAZZREVIEW: Speaking of influences, you mentioned that you were now a big classical music fan. What got you back into that, and how is that expressed in your music? DANNY GREEN: “At the time that I was going to UCSD, they didn’t have an official jazz program. In order to get my performance degree, I had to take classical piano lessons, as well as classical theory, and even a year of choir. JAZZREVIEW: So how do you make the music your own? Do you use the music to express your emotions, or are you paying homage to the art? What drives you to the pieces that you have created? JAZZREVIEW: Emotionally compelling is a great way to describe the entire CD With You In Mind. From its love inspired title song “With You in Mind” to the classically inspired ballad “Lullaby for a Poet,” and the hot Brazilian compositions “Baião Pra Voce,” “Para Chano,” and “Gigi” that conjure up all the heat of a night in Rio, this CD has it all. These songs were composed with attention to every detail and executed with skill and balance by talented and respectful musicians. Danny Green is what evolution in jazz is all about, expressing the traits of those that came before him, with a style and panache that is all his own…an individual who expresses what is inside of him.